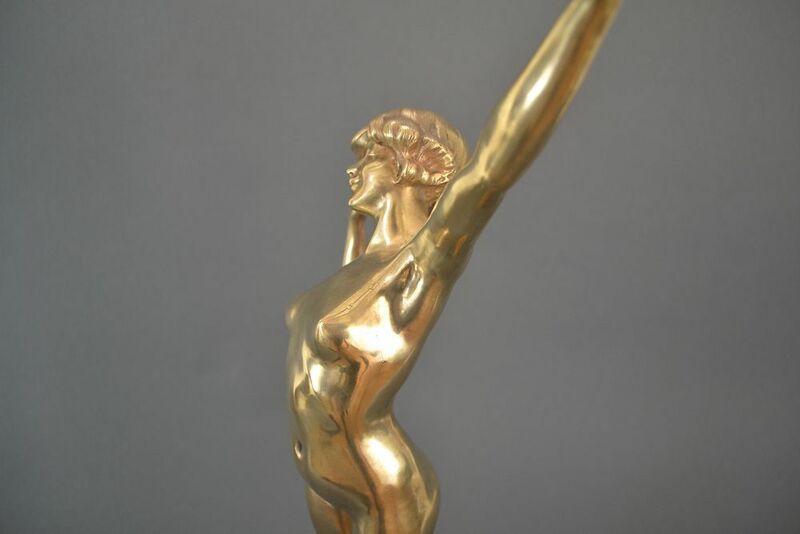 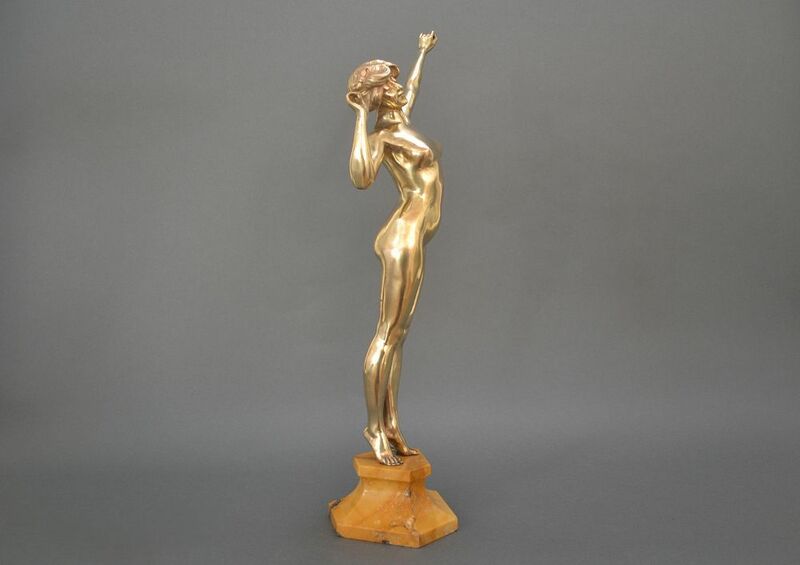 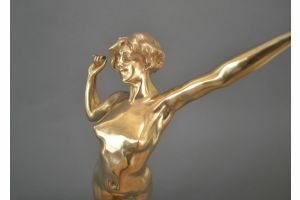 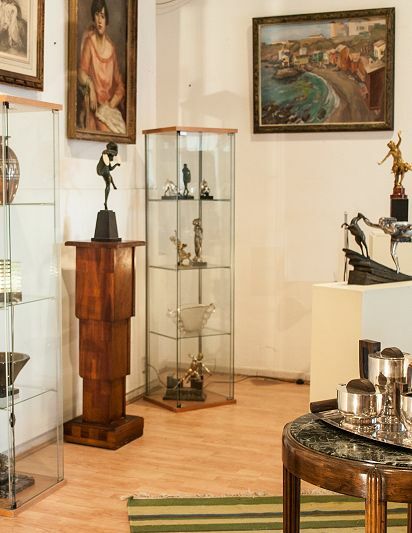 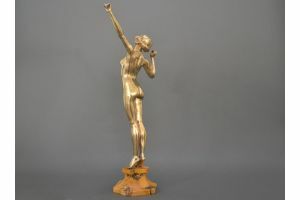 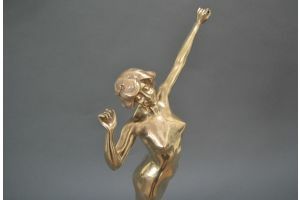 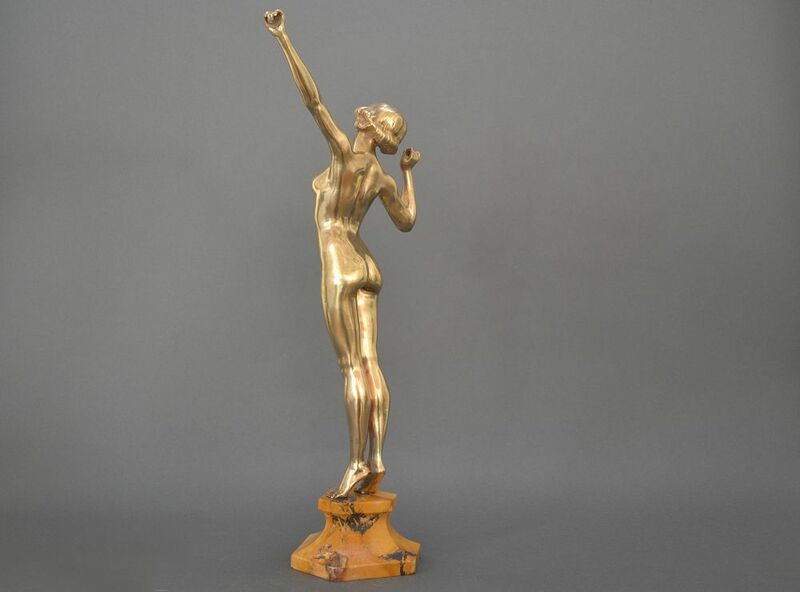 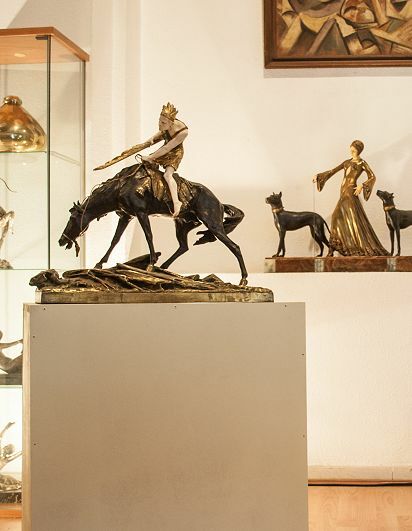 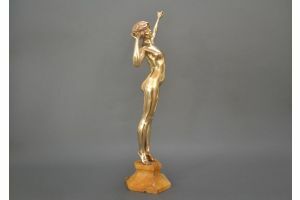 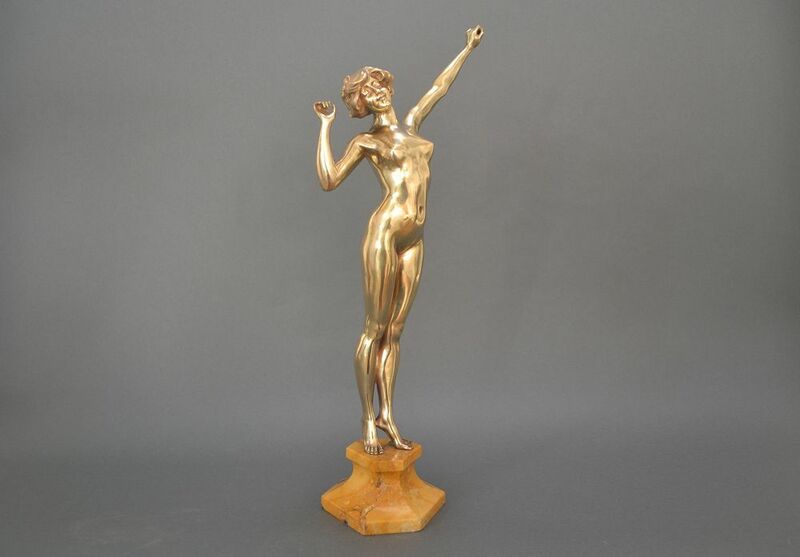 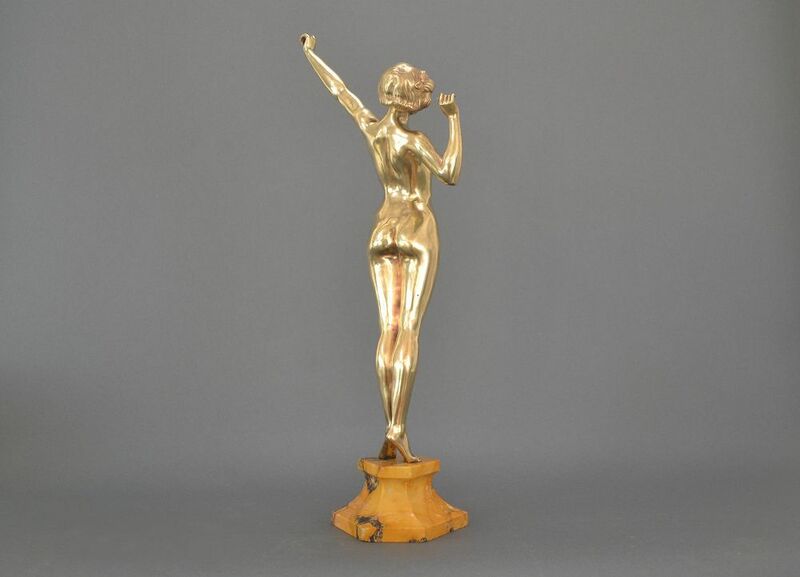 A tall bronze sculpture on marble base. 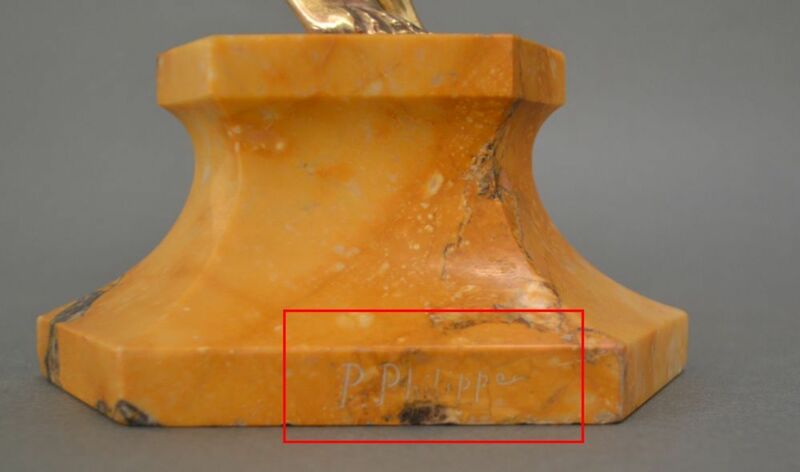 Signed P. Philippe on the marble. 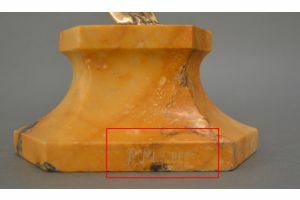 A metal plate foundry stamp underneath "Goldsheider".